For traditions lovers and travellers who love to discover the local food! 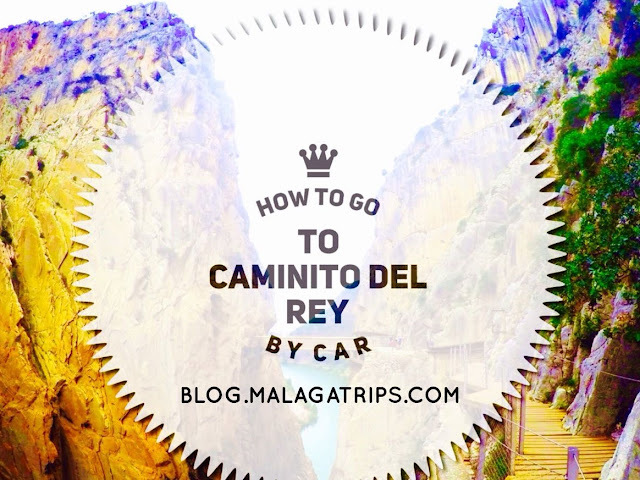 Open your senses and learn the hidden delights...you will have a rich cultural experience from your trip to Malaga! If you would like to do a wonderful and complete foodie tour we highly recommend you to book the Tapas Cooking Class and Market Visit! 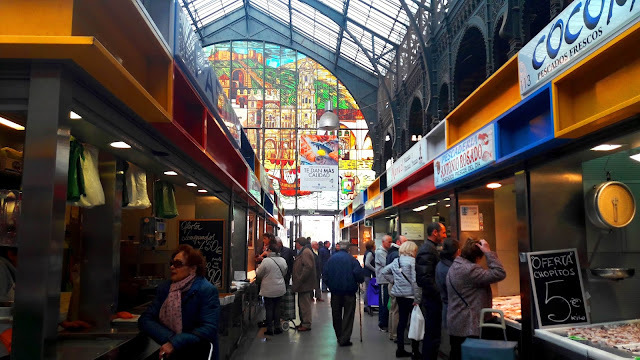 The actual market was built between 1976-1979 and it was inspired on Les Halles Market in Paris, France. 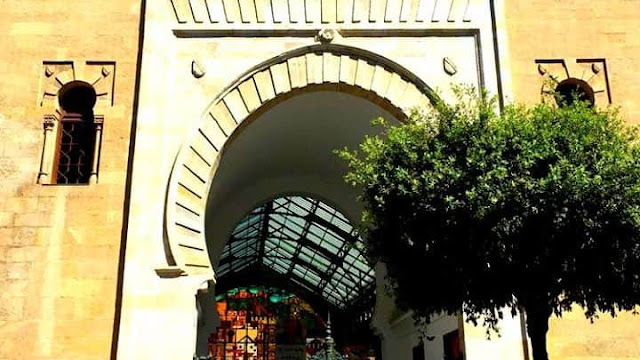 The marble door is the oldest element of the market, which belongs to the old muslim construction. Long time ago, it was the door to the sea and it was sorrounded by the fortress wall. 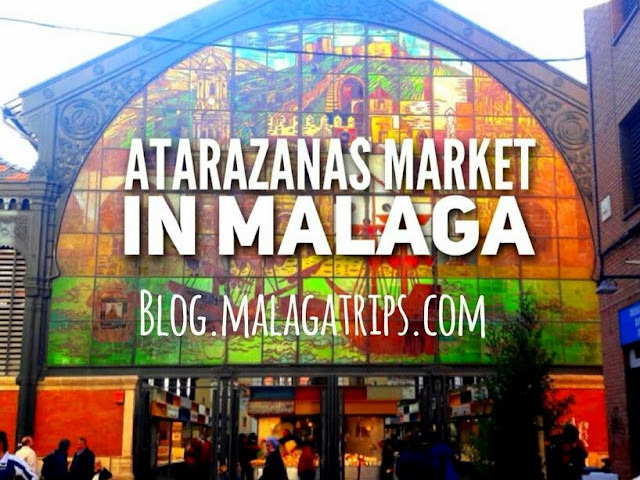 The name of the market "Atarazanas" means shipyards, because it used to be a place where ships were repaired during the 13th century (remember the Muslim Period in Malaga was between 7th-13th centuries, you can check this part of the history if you click here). During this time, Muslims built The Alcazaba and Gibralfaro Castle, and the city grew from the castle to the sea. The area was used like a hospital and a militar base during a lot of years before the construction of the actual building. In 2010 the building was rehabilitated and the glass window panel was restorated. 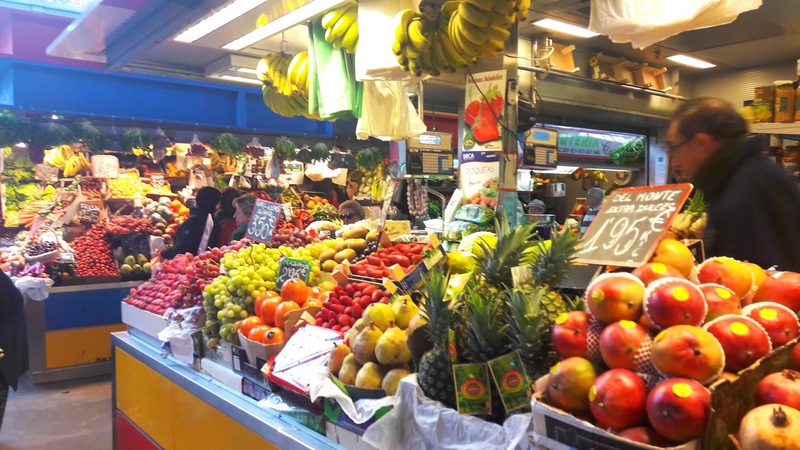 When can you visit Atarazanas Market? The most important to know it is the timetable! Ataranas Market is open from 8am to 2pm, from Monday to Saturday. 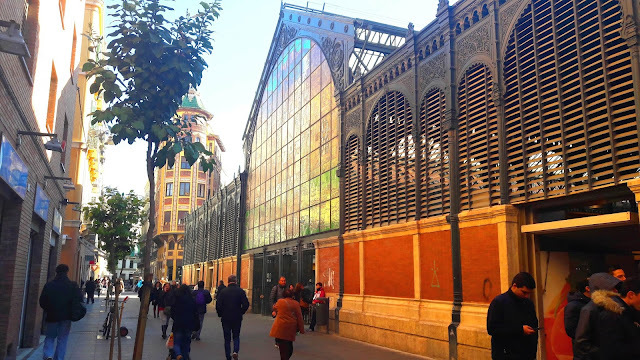 Where is located Atarazanas Market? The address is Atarazanas Street, 10. It has several doors depending on the side of the Market. What kind of food is there in Atarazanas Market? 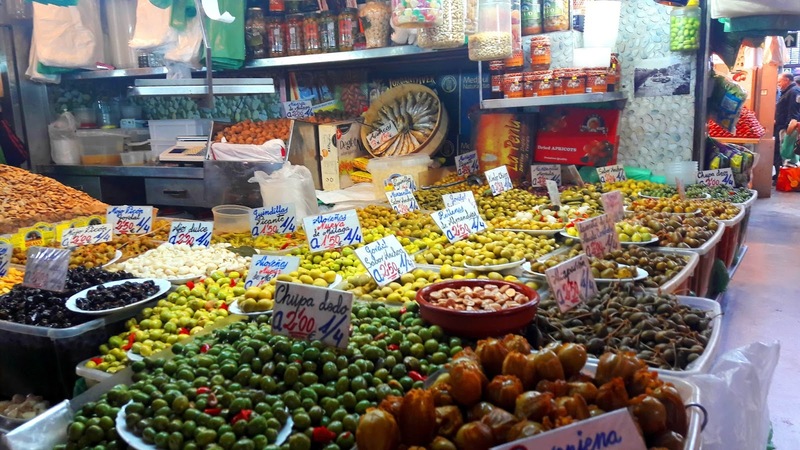 You will find different areas, fruit and vegetables, fish, meat and typical products of Malaga like olives, cheese, spices, nuts and others that you will discover there. Why is Atarazanas Market so famous? Because it is the Central Market from the 15 municipal markets on the city and it is the oldest one. The glass window panel represents typical monuments of the city and gives a special art style to the market. 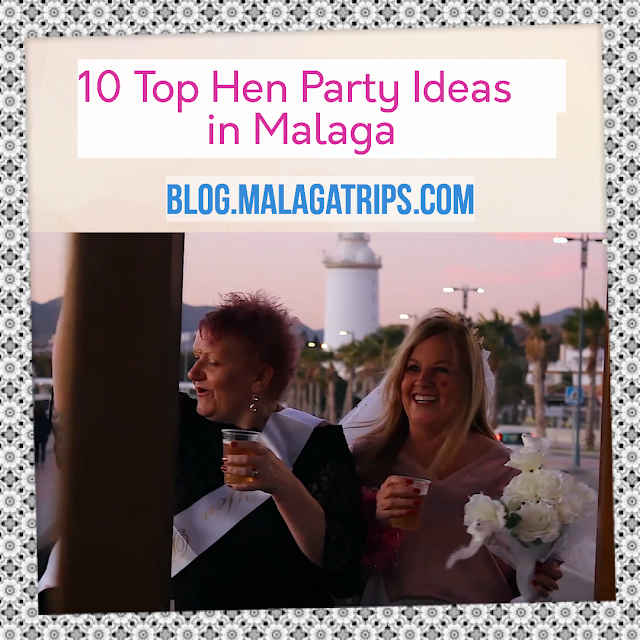 You can have a drink at noon and taste some typical tapas, for example we recommend you to taste the "Navajas" (razor-shell) or fried fish "Boquerones" as appetizers. You can feel the local enviroment where everybody find some time to relax and have fun. 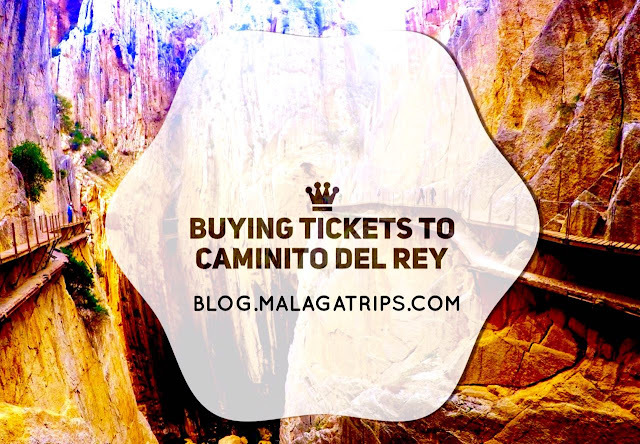 We hope this information was useful for you and remember that we are here to make your holidays in Malaga the best and help to you to plan them!